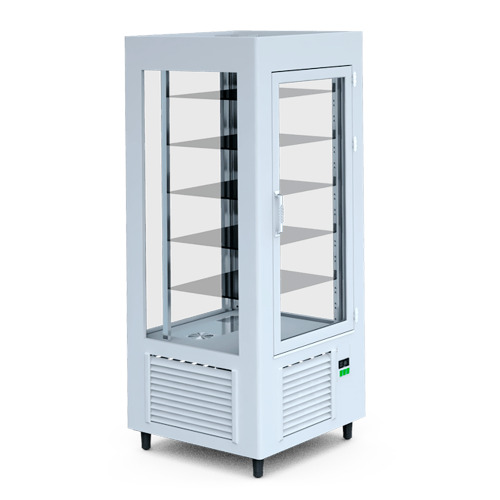 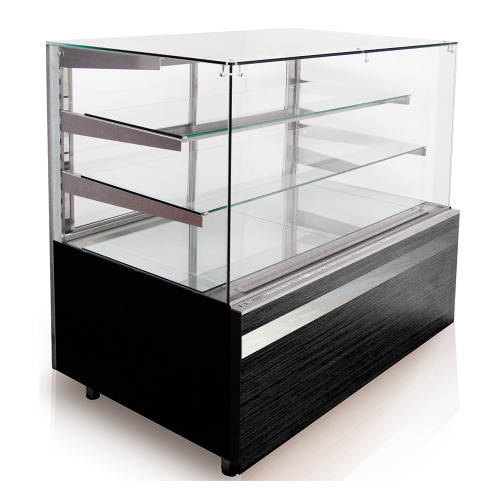 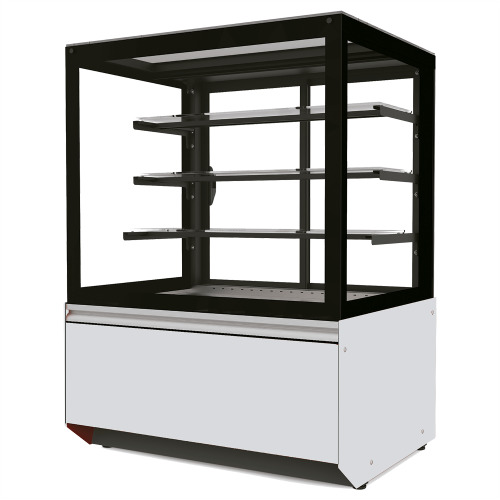 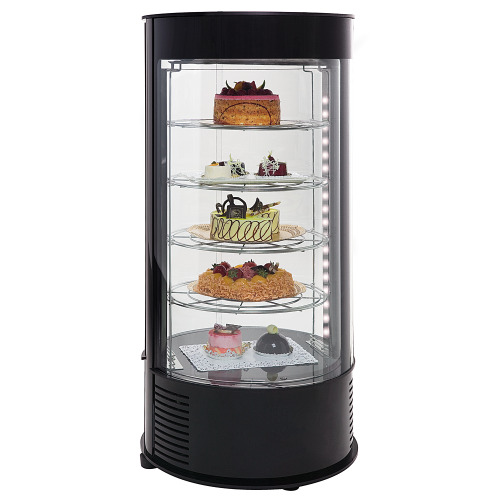 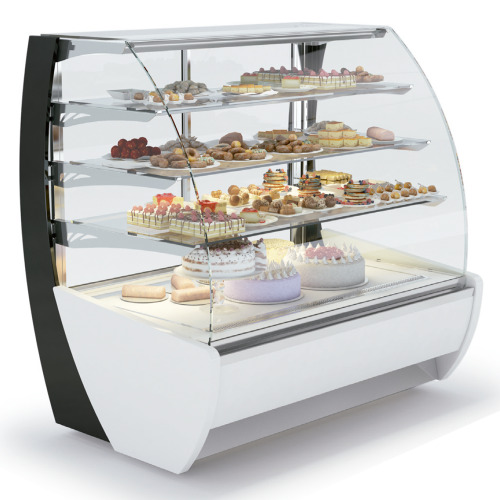 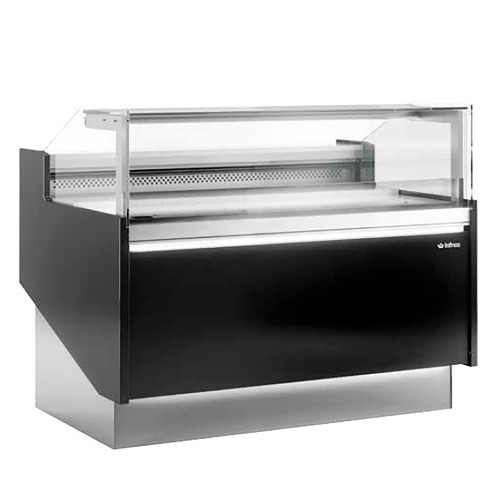 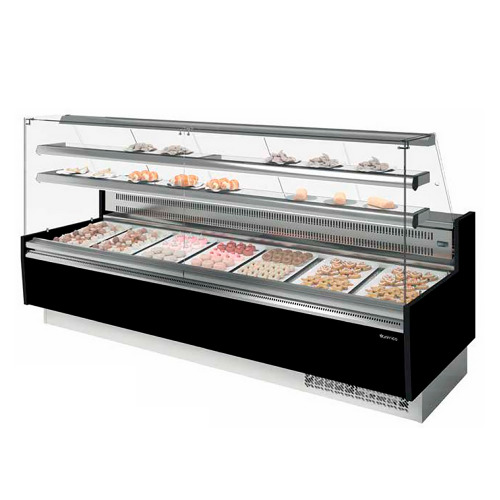 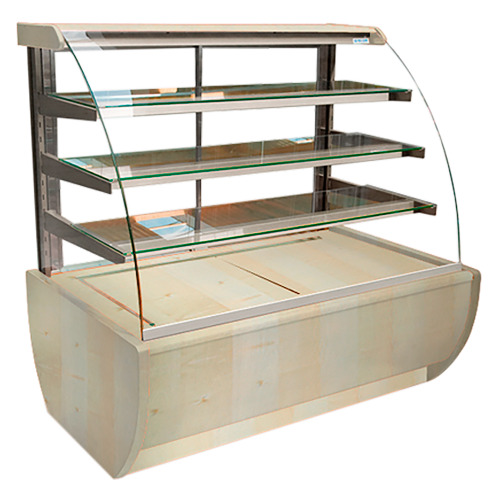 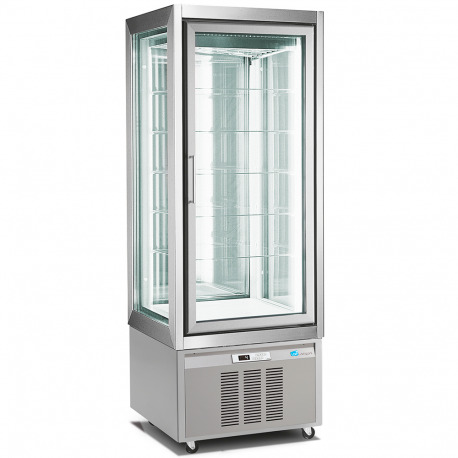 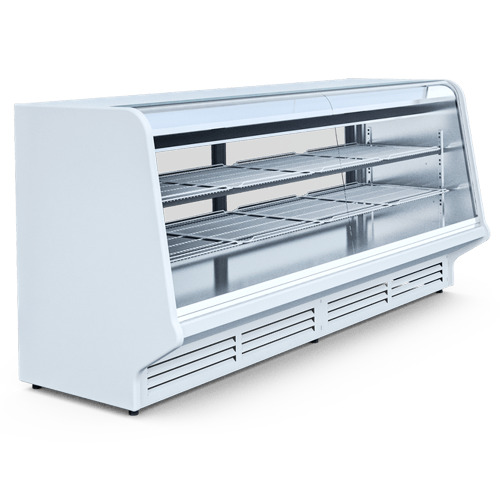 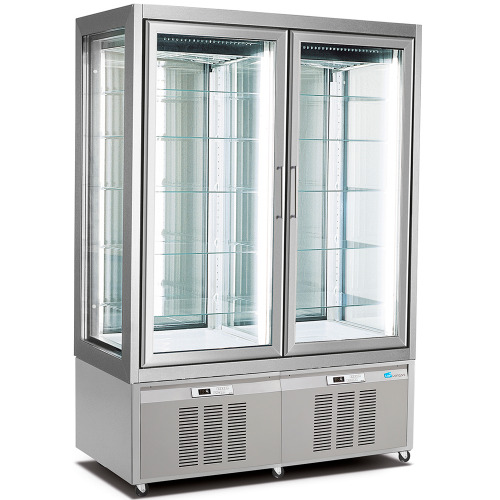 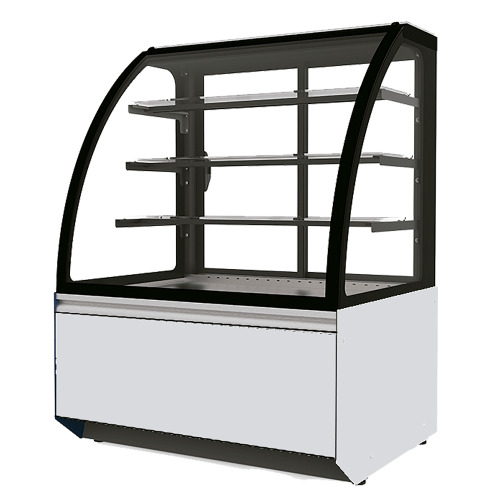 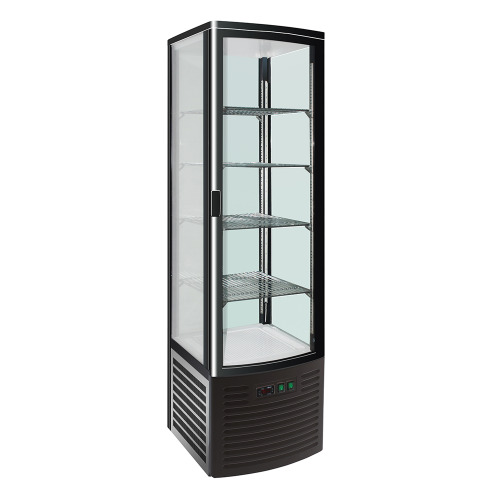 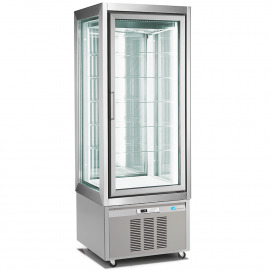 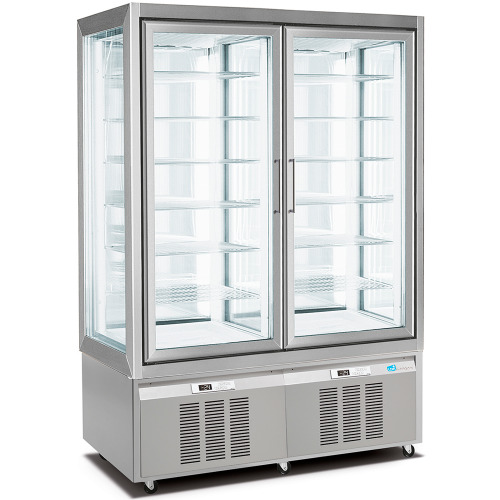 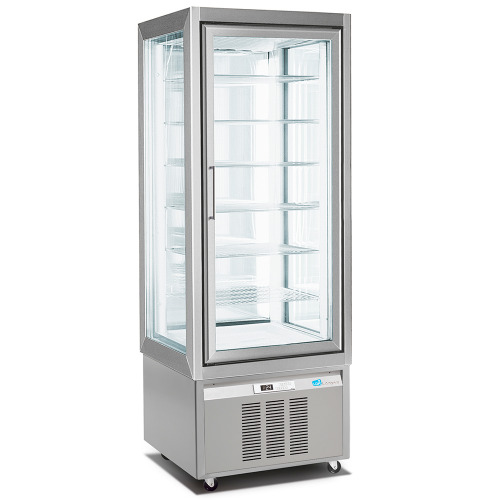 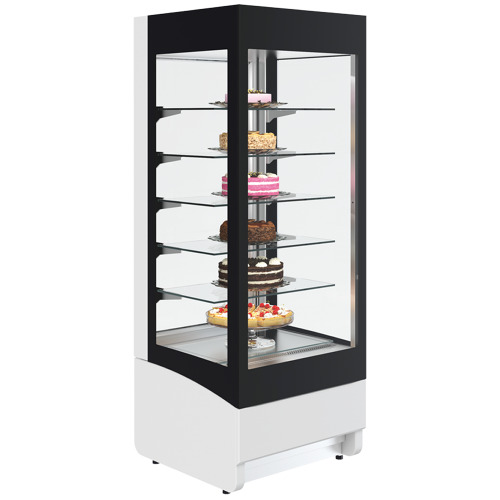 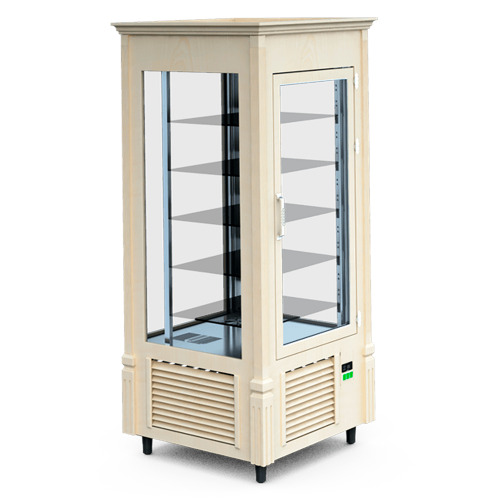 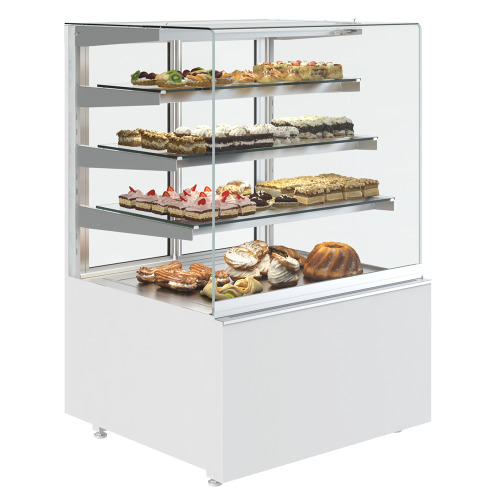 4 faces refrigerated display glass for bakery. 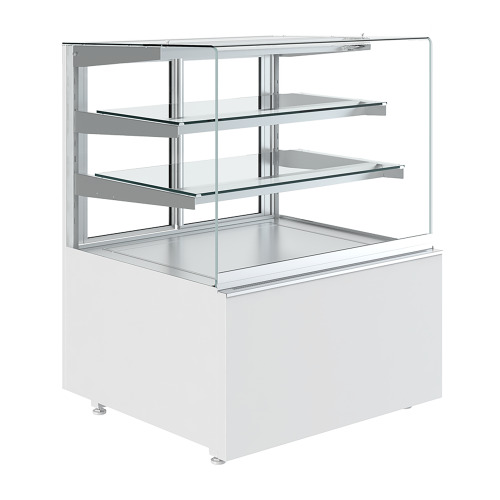 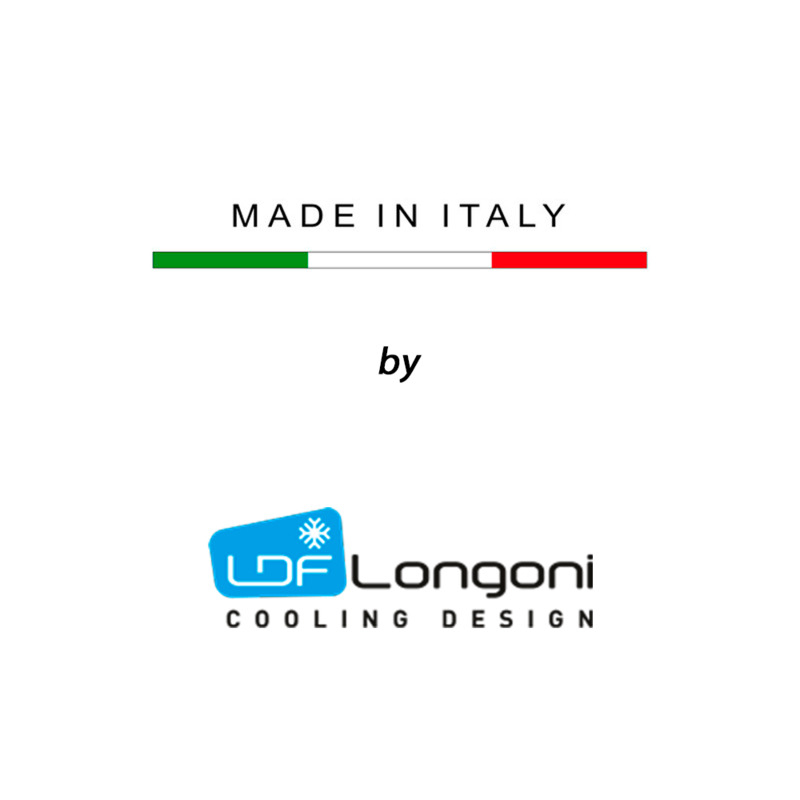 Structure anodized aluminum rounded shapes with decoration series Silver. 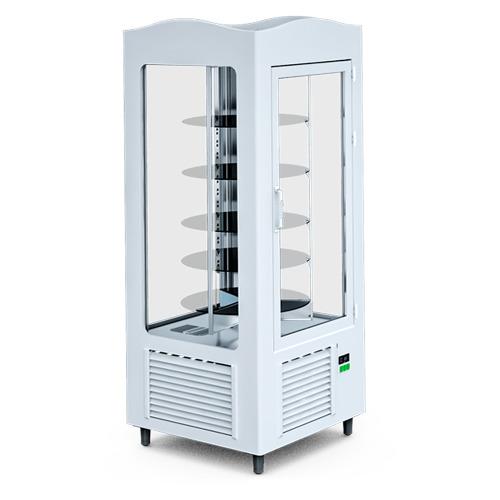 Exposure to 4 faces glass.